Make sure your alarms are heard, get your smoke alarms sorted in 3 simple steps. Once a month, check the battery by pressing the test button. If you cannot reach the button easily, use a broom handle. Lots of homes fitted with smoke alarms remain unprotected due to flat or missing batteries. Your alarms will start to beep regularly if the battery is low. Replace all smoke alarm batteries at least once a year. The alarms themselves will also need to be replaced after a while – long-life ones typically lasting up to 10 years. It’s pointless having smoke alarms if they’re not working correctly. It’s important to maintain your smoke alarms regularly to keep your family safe. Consider purchasing long-life photoelectric smoke alarms. These will give up to 10 years of smoke detection without battery replacements. However, you should still test them regularly to make sure they’re working correctly. 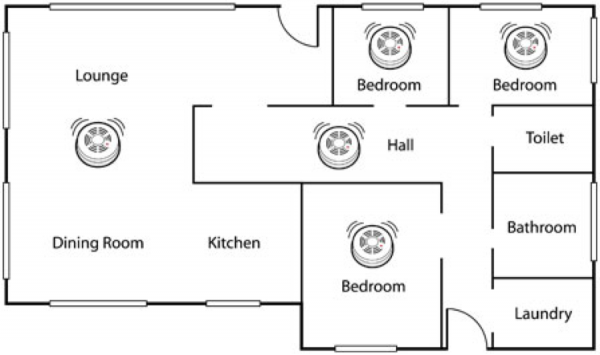 All smoke alarms have a “silence’ feature that can be used to silence the sounder in the event of a false alarm. Press the silence button before you start cooking to silence the alarm for a pre-set period of time, between 8 and 15 minutes depending on the brand. Keep smoke alarms clean. Dust and debris can stop alarms from working properly, so vacuum over and around your smoke alarms regularly. There are two main types of smoke alarm available – ionisation and photoelectric. We recommend you install long-life photoelectric type smoke alarms in your home. They have a battery life of 10 years so provide up to 10 years smoke detection. They remove the frustration of fixing the ‘flat battery beep’. You don’t have to climb ladders every year to replace batteries. Because you’re not paying for replacement batteries, long-life alarms effectively pay for themselves over their lifetime. Smoke alarms cannot detect smoke through a shut door so it’s recommended that you install smoke alarms in every bedroom. At a minimum, you should install one standard long-life photoelectric type alarm in the hallway closest to bedrooms and on each level of your home. Smoke alarms can be battery operated or can be hard-wired into a building’s mains power. We recommend hard-wired smoke alarms as they are more reliable. We also recommend that smoke alarms be interconnected. This means that when one smoke alarm detects a fire, all alarms throughout the house will sound to alert all the occupants of your home. There are different types of alarms for different locations within the home. Incorrectly located smoke alarms can cause nuisance alarms. 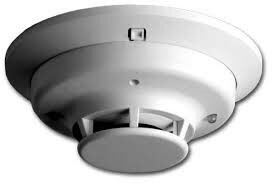 For optimum smoke detection, long life photoelectric smoke alarms should be installed in every bedroom, living area and hallway in the house. We suggest, at an absolute minimum, that a long-life photoelectric smoke alarm should be installed in the hallway closest to the bedrooms. This should be supplemented with other alarms as soon as possible. 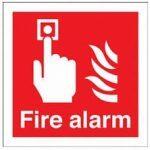 Don’t install a smoke alarm in your kitchen, bathroom or laundry, as these rooms will be prone to false alarms. Use a heat alarm instead. Contact your local Fire Station if want help finding the best locations for smoke alarms. They’ll be happy to assist, free of charge.